I am 48 now. Since 1993, I’ve been imprisoned on nine separate occasions on various charges. I’ve spent almost one fifth of my life in prison – simply for doing the work of a journalist. This year I was released after spending more than six years in prison. Even though I am a peaceful person, the Ethiopian Government convicted me on terrorist charges. Throughout the world, such charges are frequently levelled against dissident journalists like me who challenge their governments. I’ve seen every side of prison life. I have been kept in dark cells, measuring less than two square metres. As I slept it was as though my head was touching the wall and my feet were touching the door. It was so dark I couldn’t see my hand. I was allowed to go to the bathroom twice a day. A shower was out of the question. Once, when the state had locked me up for my journalism, the authorities tortured me. They beat me on the inside of my feet, the most common type of torture in the world. But I didn’t experience the worst of it. My son was born in prison. 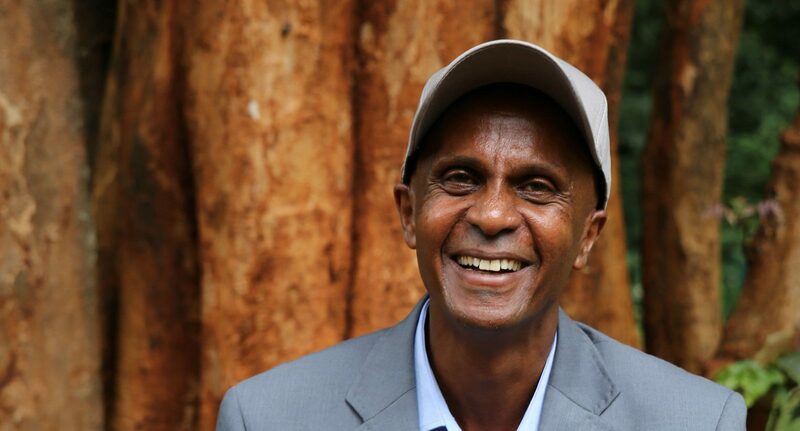 The Ethiopian government had imprisoned my wife and I after the 2005 elections. He had to go and live with his grandmother because the conditions were so bad. My wife and I would meet during court sessions, but apart from that we were not allowed to see each other. My son is 11 now and lives in the United States. I haven’t seen him since I was imprisoned in 2012. The prospect of meeting him is both exciting and terrifying. I am not perfect and I am not the legend he thinks I am. I hope he won’t be too disappointed when he gets to know me. Most recently, the government imprisoned me in Ethiopia’s notorious Maekelawi prison. The conditions were terrible. It was overcrowded, difficult to find a place to sleep and the sanitation was unbelievably bad. The prison officers demanded I stop writing and when I refused, I was branded a troublemaker, a difficult prisoner and segregated from the others. I wasn’t fighting with anybody, I was simply writing. I was kept in a prison within a prison. The compound was three metres in width and nine metres in length. There was no space to walk. All my books were taken away and I was denied pen and paper. They didn’t want to just physically imprison me, they wanted to break my spirit. For over four years, the state tried to stop me from writing. Not all the guards were on the side of the government and some of them would supply me with paper and pens – I was well known in prison; I was their most loyal customer. When they found out, the government tried to stop that too. But I continued to write on cardboard, scraps of paper, anything I could find. At one point, it didn’t matter what I wrote, as long as I didn’t stop writing. We had searches almost every week. The government was doing all it could to break my spirit but they didn’t succeed. I read the bible whenever I could. My conviction for democracy saw me through the darkest times. Even when I was imprisoned in a dark cell, I knew organisations such as Amnesty International would be speaking out on my behalf. This knowledge was so important to me. 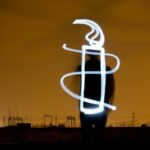 I received letters of support from Amnesty International through my family. It helped keep my morale up, and it lifted the spirits of my family. I am glad I inspired people to write. I am proud of that. Nothing beats the written word. I am a child of America’s First Amendment, which states that everyone has the right to freedom of expression and that we should all be able to express ourselves without fear. In 2018, I was released. Not because the government changed its mind, but because the people demanded the release of detained activists, journalists and bloggers. It was the people that were mobilised on behalf of democracy. When we came out, we had that hope – and we still have hope – that what we stood for and what we made the sacrifice for was finally about to happen. We have fought for democracy for so long and I will continue as a human rights activist and as a journalist until it’s achieved. Freedom of expression is the basis of our right, the basis of democracy. It’s the basis of everything. We should be able to speak our minds, without fear of reprisal. It’s the age of democracy and I won’t stop, I will not be exiled and I will not give up. I have never doubted the work I am doing – defending human rights is the right thing to do and until there’s democracy, I will be there speaking out no matter the consequences. I will forever be grateful to Amnesty’s supporters. Keep up the good of work. You are the conscience of humanity, the voice of the oppressed. The voice of human rights needs to continue until everyone is free from tyranny.